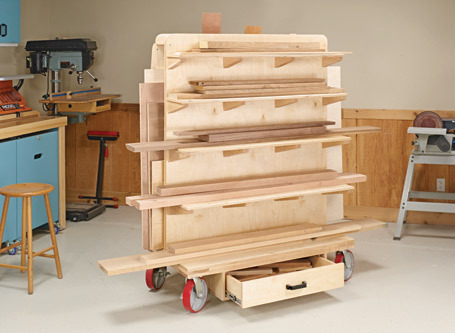 How about two, great woodworking challenges in one small package? 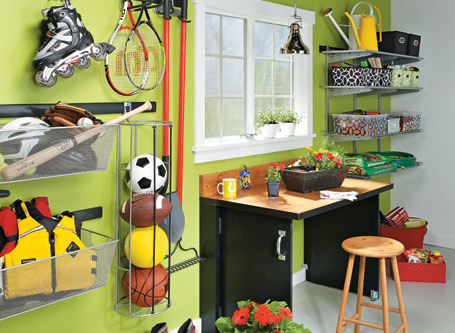 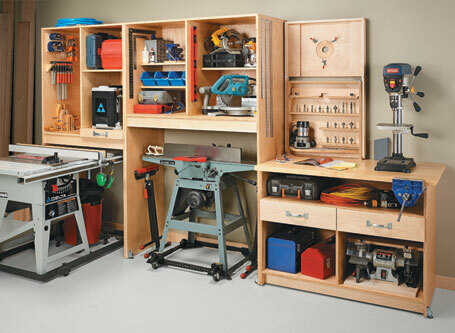 Simple construction and inexpensive materials add up to organized storage and an efficient work area. 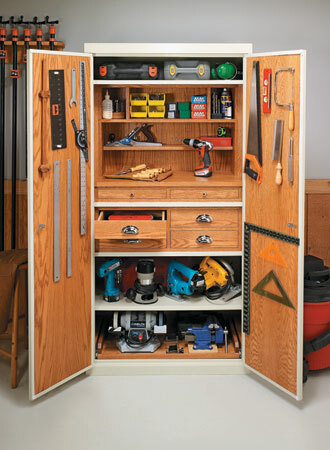 Customize an ordinary steel storage cabinet to hold a shop full of tools and supplies. 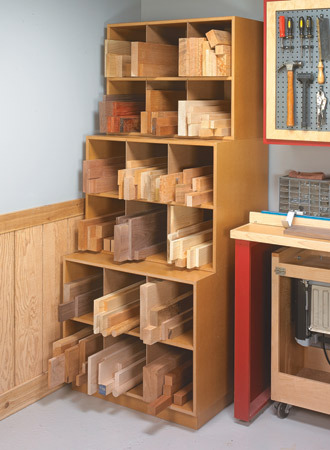 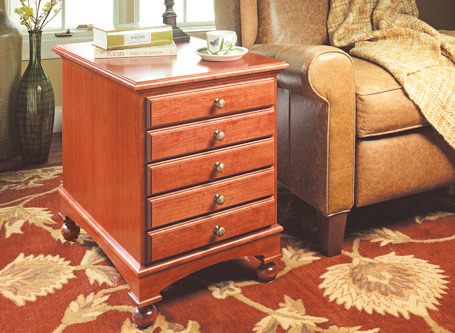 Abundant storage, low cost, a stylish look, simple construction... 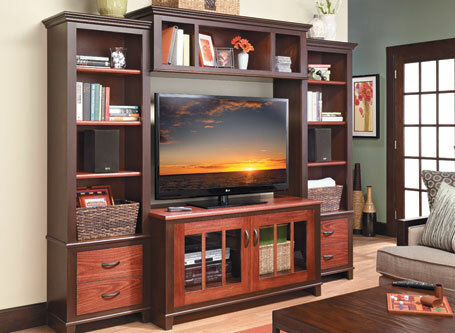 This entertainment center checks all the boxes. 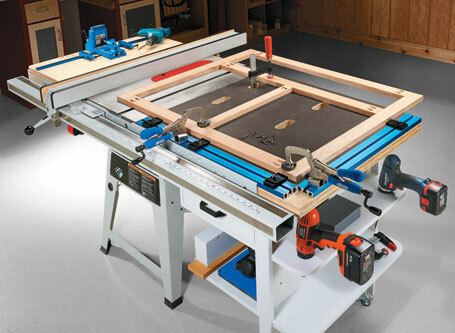 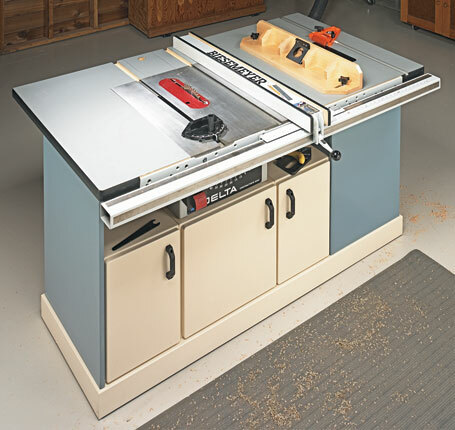 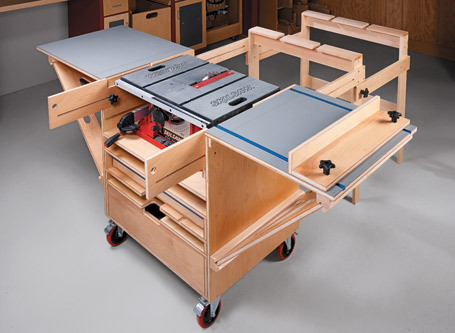 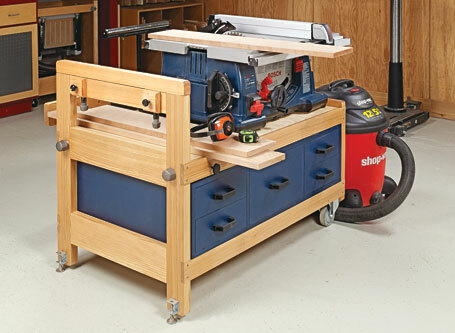 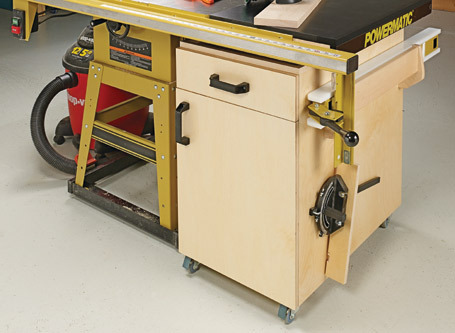 This handy cart helps your small table saw work large and also adds much-needed storage.